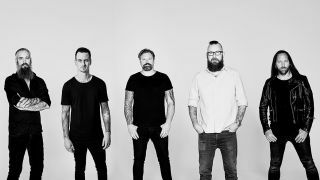 Gothenburg legends In Flames are releasing their twelfth studio album Battles on November 11. Treading the line between bulldozer heavy and commercial melodics, it’s not the sound of a band willing to rest on their substantial back catalogue. But what does it all mean? Here, frontman Anders Fridén and lead guitarist Björn Gelotte talk us through the new album from start to finish. Björn: “That came really late as well. In Flames’ new album Battles is out November 11, via Nuclear Blast. Their new DVD Sounds From The Heart Of Gothenburg is out now.